I've had some really amazing trips to Disney World but there's a whole level of luxury that I've never experienced and it will remain a fantasy unless I hit the lottery (which is going to be tough since I don't play). 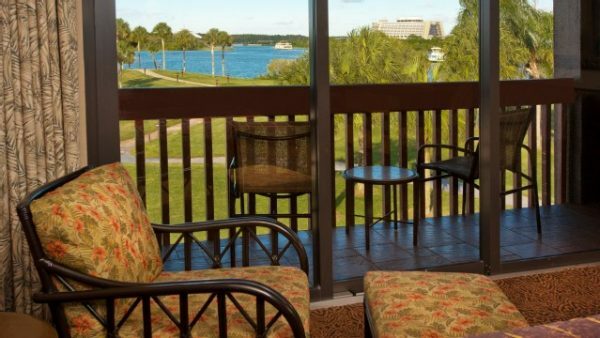 Most people would probably say they'd stay at The Grand Floridian in a Club Level room but I'm going to go one monorail stop away and pick The Polynesian in a Club Level with a Magic Kingdom view. Not only is The Polynesian a great location, but having Club Level allows for personal attention from the concierge and a lounge for snacks and drinks. We'll fly in to Orlando (in First Class, of course) and have a limo drive us to our resort. After checking in and getting settled in our room, we'll head out for the Holiday D-Lights Tour. This tour is only available until mid-December so we will have to do it early in the trip. 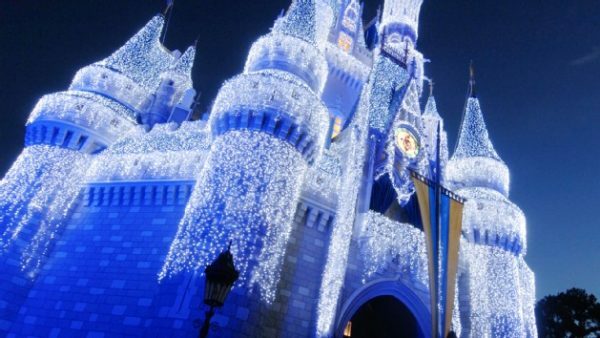 This tour is for guests 16+, meets at Epcot at 4 p.m. and includes dinner at Whispering Canyon Cafe, seeing the lights turn on at Cinderella's Castle, visiting the Osborne Lights at Hollywood Studios and Candlelight Processional at Epcot (those are the "big 3" to see during the holidays). At $209/person, it's a splurge, but then again, everything on this trip is. Theme park admission not required for this tour. After sleeping in a little bit and having an easy morning, we'll meet our VIP Tour Guide at Magic Kingdom around 1:00. These VIP tours last for 6 hours for up to 10 people and cost $315-380/hour (depending on time of year and if you're staying on-site or off-site). They allow you to ride more rides (repeatedly, if you like), drive you from park to park using backstage entrances and provide VIP seating for parades and nighttime shows. After coming back to our resort after fireworks, we'll find our room decorated for the holidays by special "pixies" from Gifts of a Lifetime isn't so much a delivery service as they are an event planning service. You can think of whatever you want - a scavenger hunt, a gift delivered while you wait in line for a ride, room decorations, etc. Since we're visiting for the holidays, having the room decorated will help get into the spirit. On this day, we'll head out to Animal Kingdom for park opening and in the middle of the day, we'll meet up for a special tour called Wild Africa Trek. This tour lasts for 3 hours and allows people to explore Animal Kingdom in a totally different way - by hiking through the safari, crossing rope bridges, experiencing the animals up close and riding in a special vehicle to explore. People on this tour have to be at least 8 years old and 48" tall. It costs $189/person normally but can cost up to $249/person during the holidays. After spending a couple of days in the parks, it'll be time for a day to take a break. After sleeping in, we'll head out to check out some holiday resort decorations, including picking up a gingerbread house at The Grand Floridian. In the afternoon, I'd head to the Senses Spa at The Grand Floridian for a spa sampler package ($180). 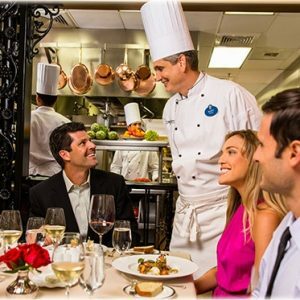 We will finish up the day by having dinner at the Chef's Table at Victoria and Albert's inside The Grand Floridian. 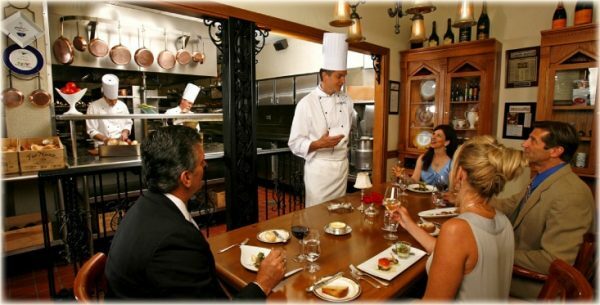 This super exclusive meal allows guests to sit in the kitchen, with each guest having a personalized menu. There are 9-10 courses served, harp music is played and roses are given to female guests. This is 1 of the rare times when formal dress is required at Disney World. Men wear dinner jackets with dress pants and women wear formal dresses or dressy pantsuit. The meal lasts for 3 hours and costs $250/person for the meal and $105/person for the wine pairing. Once again, we'll have a VIP Tour Guide for the day from 10 a.m. - 4 p.m. to help us navigate all of the rides and shows. 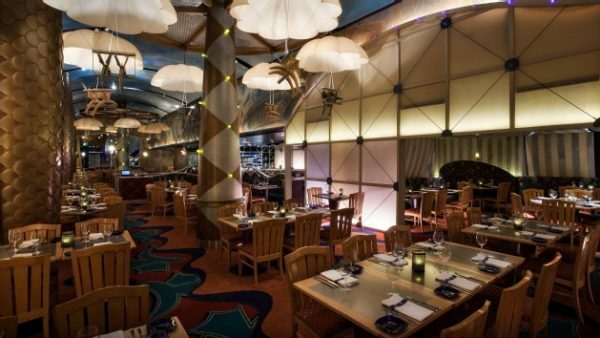 After ending our day at Hollywood Studios, we'll take a boat to the Boardwalk area to Dine with an Imagineer at Flying Fish at 5:30 p.m. This special experience allows guests to hear from the creative minds behind Disney to get a glimpse into how things happen behind-the-scenes. The meal is for guests 14+, costs $85/person (add an additional $30/person for wine pairings) and a commemorative plate can be purchased for $75. Our last park day will once again include a VIP Tour Guide to help us navigate the crazy crowds at Epcot for 6 hours, then we'll head back to our hotel by evening to take the Grand Yacht 1 right from our resort. 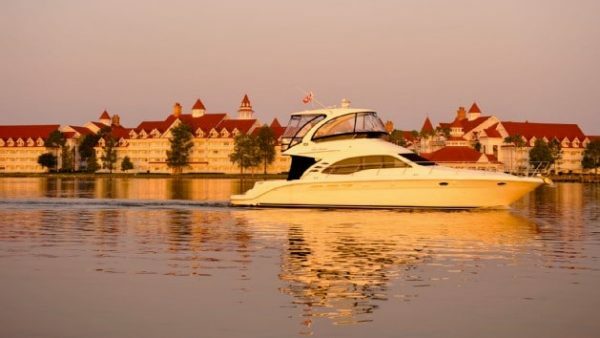 This luxury experience will take up to 18 people (or 17 people if a butler is hired) on Seven Seas Lagoon and Bay Lake. 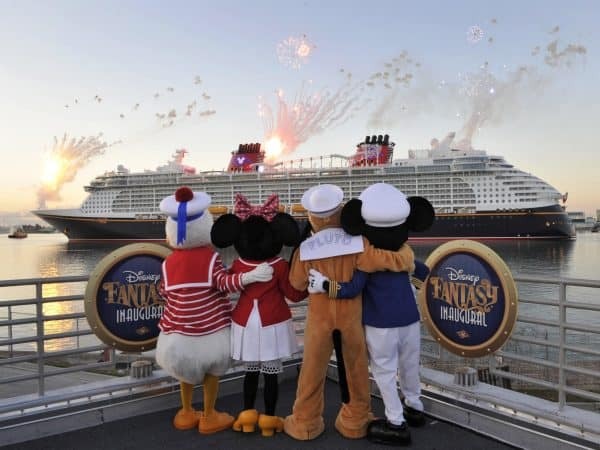 There is a captain, deckhand and optional butler to take you on a ride, serve a full dinner (cakes are also available) and position you to watch Magic Kingdom fireworks. The cost to rent the Grand Yacht 1 is $480/hour + $75+/person for dining and $75 for the optional butler. On our last day at Disney World, we'll get checked out but instead of heading home, we will head right to Port Canaveral for our first ever Disney cruise. We will be spending 7 days on the Disney Fantasy for the Western Caribbean Cruise to Grand Cayman, Costa Maya, Cozumel and Castaway Cay. And THEN we will be able to head home, having been fully immersed in 2 weeks of Disney luxury. We went to Disneyworld one time a couple of weeks before Christmas and stayed at the Grand Floridian–best Disney trip ever! So I would swap that for the Polynesian instead. 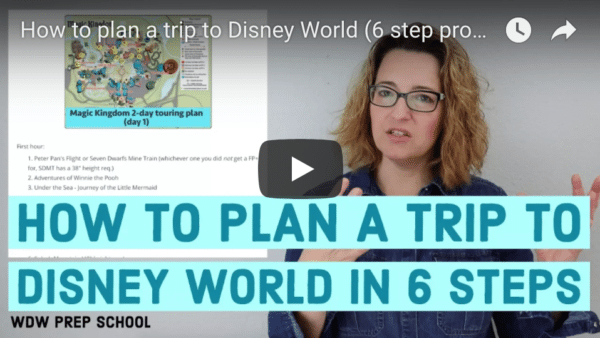 I would add the dining by the water to watch the fireworks at Epcot, and maybe a night or two staying at Cindarella castle. I agree with Suzanne. Dining with an Imagineer (lunch version at Brown Derby) was amazing! Definitely worth the cost, which isn’t much considering you get a custom photo menu, signed plate, wonderful meal and an awesome lunch conversation with a real live Imagineer. 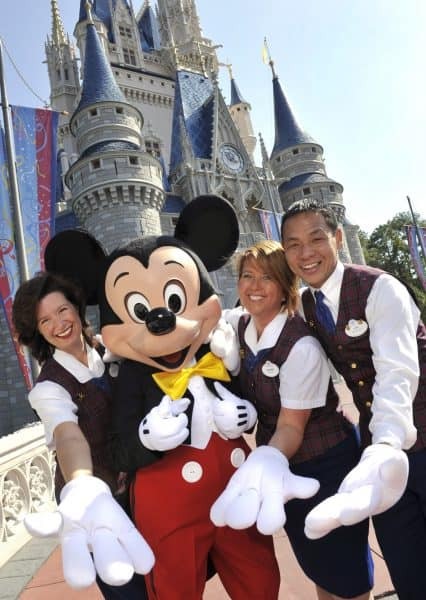 Its a reasonable luxury most Disney fans would love to experience. I’d add a princess breakfast, that was awesome! And a dinner at Be Our Guest.. that meal was nearly $200 for two ( no alcohol! ) and don’t for get that commemorative plate from flying fish. What – no Christmas tree delivery from the WDW Florist to your room!?! That’s a must for the holidays! Seriously, I think you should do lunch with Imagineer on your next trip with Blake – you’d both LOVE it! I surprised hubby with it our last trip, and even though they say they have age requirement, there were 2 children there about 8 and 12. It’s more affordable than the dinner and the plate comes free with the lunch. Christmas delivery from Gifts of a Lifetime was included; they’ll do whatever you want! I hope you win the lottery and take all of us with you! So what would the total ballparl pricetag be for that trip, our of curiosity? I was planning on doing the chefs table at Victoria and Alberts since I’ve done the Napa Rose chefs counter at the grand Californian a couple of times for $100. When I just saw that $210 price tag I may be rethinking it! Ouch! I want to go on this trip! Interesting idea! I try new things on every trip so it’s sort of an evolving list. don’t for get a stay in Cinderella’s suite!!! *siiiiiiigh* a girl can dream can’t she?